I learned a little more about Mike Adams and his Mormon experience today. He actually has done more homework (or claims to have done more homework) than I thought. Unfortunately, that doesn’t bode well for him. What is worse than simply not doing the homework? Doing your homework and not learning anything from it. 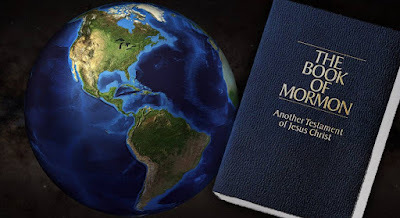 I read The Book of Mormon without giving a fair hearing to books like The God Makers that attacked its basic foundations. When I wanted to learn more about the structure and finances of the church, I read Mormon America: the Power and the Promise – a book that has been praised by Mormons for its objectivity. I also read Standing for Something by Gordon Hinckley in order to hear the LDS president speak on values we hold in common. When it came time to approach the controversial topic of the Mountain Meadows Massacre, I read a book by the same name written by a Mormon named Juanita Brooks. In so doing, I avoided the more recent and decidedly anti-Mormon account by Sally Denton. Finally, when it came time to read about the life of Joseph Smith, author of The Book of Mormon, I avoided the anti-Smith biography No Man Knows my History by Fawn M. Brodie. Instead, I read a more favorable account called Rough Stone Rolling by Richard Lyman Bushman – a devout Mormon and distinguished historian from Columbia University. The idea that the LDS church is a cult stems largely from a wildly biased media that focuses on breakaway congregations still practicing polygamy – a practice long rejected by the leadership of the LDS church. I suspect that the feminist influence within the mainstream media intentionally distorts this aspect of Mormonism as a punishment for the lack of an organized feminist movement in the church. (Author’s note: this is not to suggest a conspiracy but, rather, a collective result of individual bigotry). The idea that Mormons are not Christians is also untenable. No one reading Romans 10:9 and John 14:6 can deny that Mormons are Christians who are saved by faith and destined for heaven. Of course, raising the issue of heaven might not be the best way to bridge the gap between Mormon and non-Mormon Christians. In fact, it leads inevitably to a discussion of the controversial life and revelations of Joseph Smith, Jr.
People often try to call something a marriage when it isn’t,” he had written. “Calling a union between two men or between two women a marriage doesn’t make it one. It’s like embedding the name ‘Jesus Christ’ in the official title of the LDS church and thinking that makes Mormonism somehow Christian. Call a square a triangle if you like but it’s still a square. Your hardheadedness won’t make it become a triangle. It will only make you appear obtuse. Somewhere along the line, Adams became much more akin to Decker and Denton than Bushman and Brooks. What happened? I don’t know, but the 180 turn apparently happened within two days of that original post. In any event, this just makes yesterdays rant all the more embarrassing for Adams. If he read Bushman’s biography of Joseph Smith, then he should have known about several things I brought up yesterday. He should have known at least a little about LDS responses to criticisms of the Book of Mormon (pp.92-94) and following Bushman’s footnotes and bibliography could have lead to where he could find more. Specifically, he should have known about the archaeological evidence in the Middle-East (p. 93) I mentioned yesterday. He definitely should have known about the witnesses who saw the gold plates (pp. 76-80). And yet he betrays no awareness of this matter at all. Furthermore, one would be hard press to find Bushman’s influence on Adams’s views of Joseph Smith’s polygamy. Still, reading Richard Bushman is not even close to doing enough “homework.” Now I understand that not everyone can read dozens of books and articles on every little squabble over the claims made by Mormons, and I don’t expect them too. But I don’t think it would be too much to have asked that Adams read Terryl Givens’s By the Hand of Mormon, which would have given him at least a good foundation on LDS scholarship into the Book of Mormon, and from a fairly balanced perspective, too. Furthermore, if one is going to publicly comment on matters – especially if one is in an influential position, as Adams is, then one has a fundamental responsibility to do a little more than read a few primers on the subject. And if that public statement is seven years after you did your reading, it doesn’t seem like to much to ask that they make some effort to see what, if anything, has changed in the last few years – what new research is there, and how does it square with their perceptions? Thus enter Hales’s work on Joseph Smith’s polygamy. (Simply put, if you haven’t read Hales on the subject, you shouldn’t be commenting on it today, period. You don’t have to agree with him, but you have to know what he has said, and you have to engage it.) Or Perego’s work on DNA and the Book of Mormon. Most of what I mentioned yesterday, though, would have been available in 2006. As it stands, from what Adams has made publicly available, it is the equivalent of reading the summary on the back of book and then writing your book report. Anyone who has actually read the book is going know you are bluffing. And if he did more reading and studying than what is indicated, well then, as I said, that only makes matters worse. Because as it is, he should have known better. It is one thing to not do your homework. It is something else entirely to do your homework and not learn a darn thing from it. Wow! It sounds as if after Adam's first article he must have been inundated with Anti-Mormon garbage right afterwards. This makes me believe that he never REALLY did read as extensively as he purported the first time! Thanks for the research. Too bad Townhall allowed this piece on their site to begin with.
" He definitely should have known about the witnesses who saw the gold plates (pp. 76-80). And yet he betrays no awareness of this matter at all." The witnesses, by their own admission, seemed to have only seen the angel and plates in a 'visionary state' in their minds as Joseph suggested to them and not really with their natural eyes as members are taught. Why would real, metal plates need to be seen in a vision or with 'spiritual eyes' as many of the witnesses later testified? Furthermore, I question the witnesses' reliability and trustworthiness. All the witnesses had close ties to Joseph and his family. Martin Harris, had a substantial financial stake in the success of the Book of Mormon. Moreover, in the upcoming years, many of the witnesses ended up leaving the church and following other leaders and religions. By 1847, not one of the surviving eleven witnesses was part of the LDS Church. If they believed Joseph Smith's miraculous revelations from God were true, why would they have left the Church? I have seen the tombstone in Richmond Missouri where one of the witnesses who became dissociated with the church, maintained that he had handled the plates and that he believed that The Book of Mormon was true. The witnesses even though they may have left the church maintained the veracity of their story. You are making a series of assertions that are not supported by careful study of everything the witnesses said and did. 1. Actually, ONLY Martin Harris is ever reported to have said that, and only in second hand sources. David Whitmer later explained, "Of course we were in the spirit when we had the view, for no man can behold the face of an angel, except in a spiritual view, but we were in the body also, and everything was as natural to us, as it is at any time." So, you are setting up a dichotomy between visionary/spiritual state vs. natural state that simply did not exist in their minds, and did not reflect their experience as they told it. 2. Why would real metal plates need to be seen in a vision? Ummm... did you forget about the whole angel thing? Of course, there is also the 8 witnesses, who did not see it in a vision, but rather saw and handled the plates in as natural an experience as any. Only very unreliable accounts that amount to little more than rumor indicate anything else. You also aren't including the "informal" witnesses. While these people did not literally see the plates, the held them and felt them through thin cloth. They could describe the weight, shape, and contours of the object so clearly that there can be little doubt it was a set of metal plates. Joseph's brother and wife both even described thumbing the pages and hearing a metallic rustling sound. Again, all experiences that are as natural as can be. 3. As to the reliability and trustworthiness, that argument was shot down a long time ago. Richard Lloyd Anderson has demonstrated that all of the witnesses were viewed by their non-Mormon associates as trustworthy and reliable in every aspect of their lives except when it comes to the plates. Why this inconsistency? The people then had just as much trouble, if not more, trying to dismiss the witnesses testimonies. 4. As you go on, you you point out facts ultimately contradict your point. You point out that they were all close to Joseph Smith when it happened, and Harris even had financial motives. But then, you point out that many of them left the Church and stopped following Joseph. Now, the part you ignore: (A) Even after leaving, none of them ever denied seeing the plates. In fact, many of them repeatedly reaffirmed it, even while outside the Church. Your question is not nearly as interesting as asking why, if this is a hoax, they don't immediately turn around and try to expose Joseph once they are disaffected? If Harris did it for financial reasons, why didn't he deny it later in life, when he was in financial ruin and, by his own report, could have made a fortune simply by denying his testimony of the book? (B) You fail to mention that Cowdery and Harris eventually came back. Why would they come back after Joseph Smith, their alleged co-conspirator, is dead -killed brutally by a mod - when they know it is all a hoax, and there is literally nothing to gain by rejoining this persecuted minority? One would think they would want to avoid life threatening hostility, not seek it out for a cause they know is a hoax. I have a much harder time making sense of the questions I've raised in this comment than I do at making sense of yours. Your question can be answered in a number of ways. Pride can make people do a lot of things. The fact that they left the Church shows that these were not merely feeble personalities going along with what Joseph Smith said. They were strong willed and stubborn. They often competed with Joseph's leadership and consider themselves quite important. When things didn't go their way, they left. And yet, disillusioned and disaffected, they insisted that they saw those plates, and went to their grave so testifying. Seriously, anyone who has really studied and read the witnesses own accounts has a very hard time dismissing them. Some very serious critics of Mormonism have simply accepted the fact that Joseph has a real set of metal plates. They reject that those plates are the source of the Book of Mormon - perhaps they were a fake set of plates, or maybe Joseph just found them and then made up this story claiming it was what was on them. I have my reasons for finding such suggestions utterly unconvincing, but won't go into that hear. The point is, try as some do, the witnesses simply cannot be trivially dismissed.